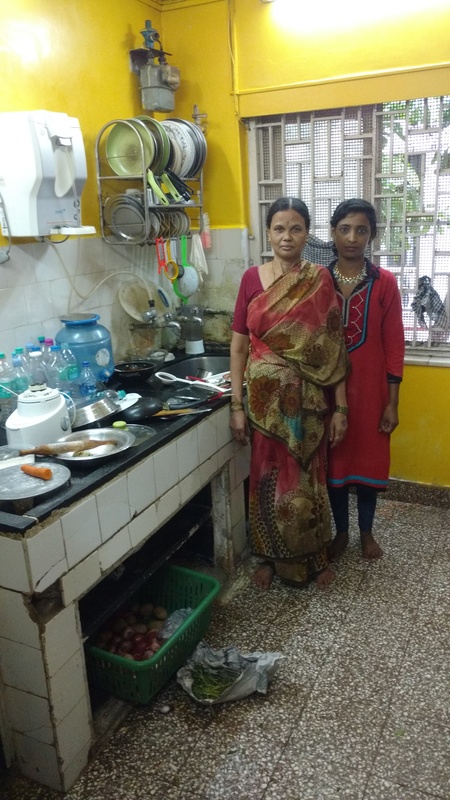 “Usko bhaad mein janey do, mujhe toh life mein aagey jaana hain” (let him go to hell, I have to succeed in life)…tough words from a frail looking tough woman, Rachna*, my house help, only 25 years old. Rachna’s story follows a familiar storyline, gaon (village) marriage at a young age, initial happiness, children in quick succession and then the nightmare or rather reality hits-that of an unemployed wife beater, who to top it all, is also an alcoholic. But Rachna has taken it on her chin and has taken life by its horns. Lesson 1-The first thing she did was to make arrangements for her two children to be looked after. She convinced her mother and grandmother, both in the village, to be their guardians, rather than her alcoholic husband. She refused to listen to her so called well-wishers and village elders, that she must make the marriage work at all costs and be miserable for the sake of the children for the rest of her life. Lesson 2-She made a bold decision to move away from her village to Mumbai. She wanted to be in a place where she would not have to encounter taunts, jibes and the usual social ostracism that you go through as women when you decide to move away from your husband-never mind that he is the village vagabond but he must be revered like the sum total of all Gods in the world. She started her life afresh where she didn’t not have to justify each and every move of hers all the time to anyone who felt that he was the keeper of morality, and in India ,as also worldwide, there are countless of them. Lesson 4-She decided to earn her own money through a job rather than waiting for her husband to pay. She wanted her own money and decided to earn it using whatever qualifications she had. Though she is uneducated, her initial jobs pulled her through enough, to save some money and start looking for a job where she could earn enough through one job and save some money to send to her village. Lesson 5-All her decisions were bold and took guts to execute, but she stuck with them. She gained some-self-respect, money, lost some-children not staying with her, but she took the good with the bad. Lesson 6-Life is for living seems to be her mantra. Despite the blows that life has dealt her, she didn’t complain or look for sympathy but like a real trouper just moved ahead and that too with a smile on her face. She doesn’t resent her husband’s behavior, rather she has turned the joke on him by having the last laugh. She says, “I’m glad he ill-treated me because if he didn’t I would have never seen the world beyond the village”. I see so many highly educated women with college degrees languishing in bad marriages or bad divorces, all they need to do is pull a leaf out of the ‘so called uneducated’ Rachna’s life and am sure they will be on their way to a newer happier life.